Because a tankless water heater uses an intense flame source to heat up water when you need it, they need more air to achieve successful combustion, and they send out more exhaust gas than a tank-style water heater. This means that when it comes to installation Tankless Water Heater in Gilbert, AZ require some different environments than their tank-style colleagues. Here are some things to ponder as you plan the installation of your new system. Do you have enough gas and water coming in? 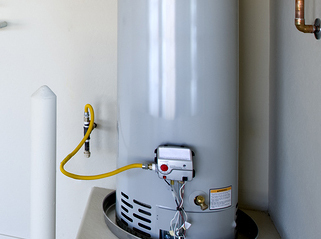 A Tankless Water Heater in Gilbert, AZ can generate as much as four times the BTUs that a tank-style heater can. So you'll want to have your plumber check to see if the gas line you have now is sufficient in terms of length and size (as well as the meter itself) to send enough gas to the unit. There are also different minimum water flow levels for the heater to turn on, so you'll want your plumber to make sure that your existing system can supply the heater. Don't make the water go too far from the heater to the faucet. When you turn on the hot water tap, the Tankless Water Heater in Gilbert, AZ turns on after the water hits. That means that it takes a short while for the cold water to reach the desired temperature. If the heater is a long way from the faucet, you'll notice some intermittent hot water instead of consistent flow. One way that you can put in a recirculation pump to send water from the most distant fixture in the plumbing system back to the heater, but that takes a lot of energy. The best bet is to locate the heater as close to the most commonly used faucets as possible. This advice has helped many other people figure out the right place to install their new heater and the right heater for their home. Let us know if we can help you too!